I’ve ditched…no halted?…no…strayed…yes, strayed from Jane Eyre in favour of Jim Butcher’s Captain’s Fury (Book 4 of the Codex Alera series) and Milk and Honey, Rupi Kaur’s book of poetry. I already did when I read Interview with the Vampire, and Anatomy of a Girl Gang, and Hag-Seed. I’m still working on Female Rebellion in Young Adult Dystopian Fiction and if I’m going to diverge from the List AND my “On Deck” lists AGAIN don’t I want to prioritize the primary texts discussed therein? I missed that feeling of being hungry for a book. I missed day-dreaming about “what’s next?” and being entirely distracted by a plot. I missed nodding “yes” and saying “uh huh” feigning attention in a conversation while secretly all I’m actually doing is thinking about the book and waiting for the next break in whatever-it-is that is demanding my attention so that I can escape back into that world. And I’m not hungry for Jane. I wanted to be absorbed, and so that’s what I’m chasing right now. That’s why I picked up the next book in Butcher’s “Alera” series. They are long, but they’re easy to read and they’re fun and they pull me in. 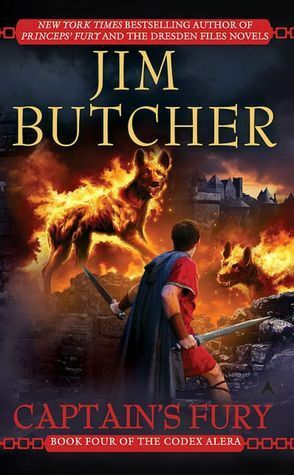 Fun Fact: I read online somewhere that the “Alera” series was born out of a bet for Butcher to write a story based on Roman legions and Pokemon. Crazy, right? There is no way that’s true, right? That’s what I thought, too. But, as it turns out, IT IS TRUE! Isn’t that so much nuts stuff? I found an interview Butcher did with Fantasy Literature.com where he confirms the whole thing! (You can read it here). To those of you out there thinking “Ummm, yeah, Cat…we already knew that…this news is like…eight years old…keep up, GAWD” Well, you would be right, but this is still new to me and therefore it is exciting to me and this is my blog so THERE. I’m still listening to Jane in the car sometimes just so I can say that I’m still making some progress there. And, admittedly, to get me closer to Wide Sargasso Sea a little bit faster. I’ve also picked up Milk and Honey by Rupi Kaur, because it’s been on my shelf since Christmas and it lends itself better to short, fragmented reading sessions, such as over lunch or five minutes in the morning. So. Yes. I’m straying. Again. And I don’t care because I missed it, and the List will still be there waiting for me after I get my fix.